If you don’t consider yourself an Anglophile, spend a couple of days in England with the British watch brand Bremont, as I just did, and you’ll soon be craving tea, obsessively watching The Crown, and sprinkling your conversations with Britishisms like loo and rubbish. Founded in 2002 by brothers Nick and Giles English, Bremont makes COSC-certified chronometers (retailing between $3,695 and $42,495) at a workshop in Henley-on-Thames, a quintessentially British market town located about an hour west of central London. Famed for its annual rowing regatta, a training ground for Olympians, Henley is dotted with sheep meadows, much like the one that lies behind the company’s watchmaking facility. Last week, when I laid eyes upon the scene (sheep and all), it reaffirmed something I already knew to be true: The British horological revival is in full swing, and Bremont is leading it. 1. Basel-on-Thames is officially a thing. Bremont isn’t the only brand that abandoned Baselworld this year—the list includes jewelry and watchmakers of all stripes, from Boucheron to Shinola—but, to my knowledge, it’s the only brand that staged a parallel event to make up for it. All last week, Bremont rented a five-story Georgian town house in central London’s Fitzroy Square for its first (annual?!) Basel-on-Thames, where it hosted press, buyers, retailers, and a fascinating cohort of friends (more on them later) for informal conversations about watches paired with food, cocktails, and presentations, all designed to draw attention to Bremont’s latest collection of sporty mechanical timepieces. Last Wednesday, our first night in town, the London chapter of RedBar Group, the global community of watch collectors known as much for their astute knowledge of watches as their raucous nights of drinking, hosted a cocktail party at the town house that drew a host of young men in suits, angling to hear Nick’s welcome remarks. On the next day, a tour of Bremont’s Henley workshop—an immaculate, light-filled space staffed with about 35 watchmakers—brought those words to life. Business, primarily in the brand’s No. 1 and No. 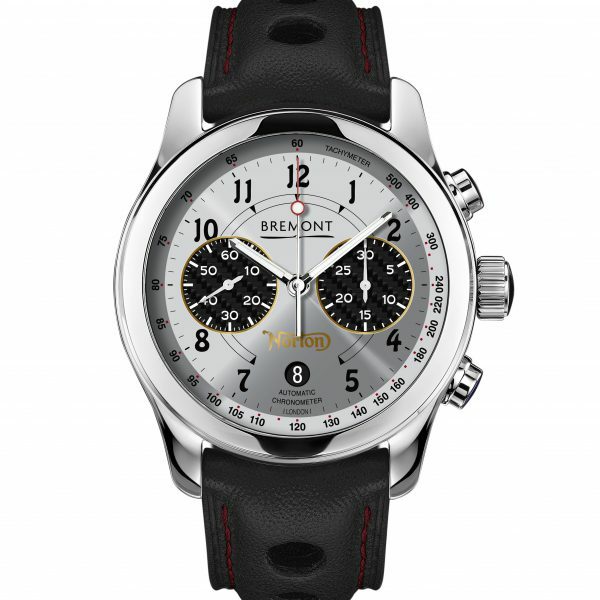 2 markets, the United Kingdom and the United States, respectively, is booming—so much so that by the end of 2018 or early 2019, the brand expects to move to an eco-friendly manufacture that will unite various parts of the Bremont production process, including its casemaking operation, which currently resides in Silverstone, a village north of London best known for its Formula 1 circuit track. 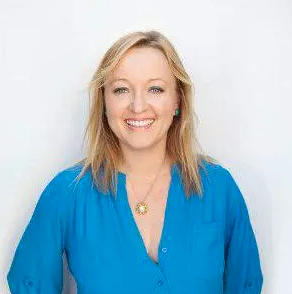 What’s more, the English brothers recently recruited a group CEO—Gareth Morris, a veteran of British brands like Links of London—who will help the company produce its first truly in-house movement. 2. Ronnie Wood is one of the brand’s many well-known British coconspirators. On our second and final night at the Bremont town house, the brand threw a party that brought together the best of British culture, from a performance of the national anthem to bottomless gin and tonics (there was even a Guy Ritchie sighting). The highlight was a brief speech by Rolling Stones guitarist Ronnie Wood, whose artistry is featured on two of the brand’s B1 Marine clocks—also known as the Bremont Ronnie Clocks. 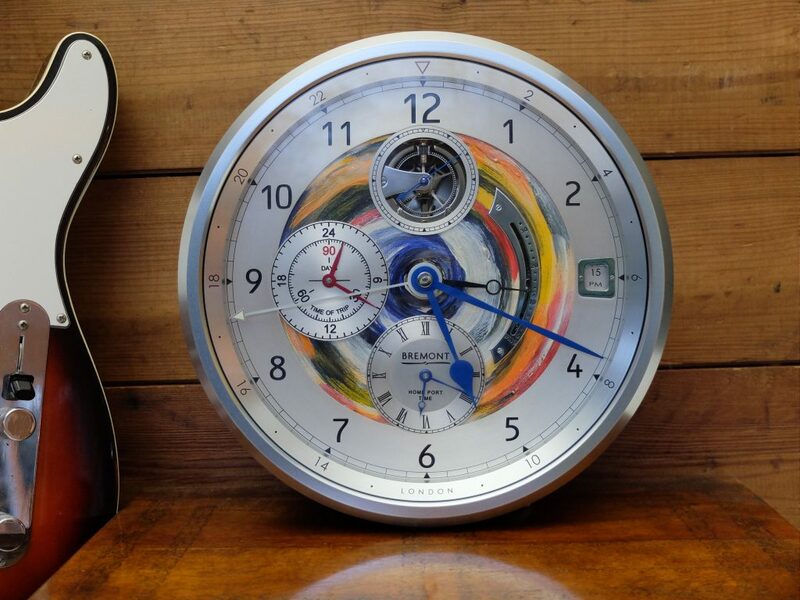 At the town house, Bremont unveiled the second of one, a unique piece featuring a hand-painted dial and aptly titled the I Feel Like Painting edition. The brand’s relationship with Jaguar has been particularly fruitful, having spawned a whole series of chronographs dedicated to the carmaker’s Lightweight E-type racer. 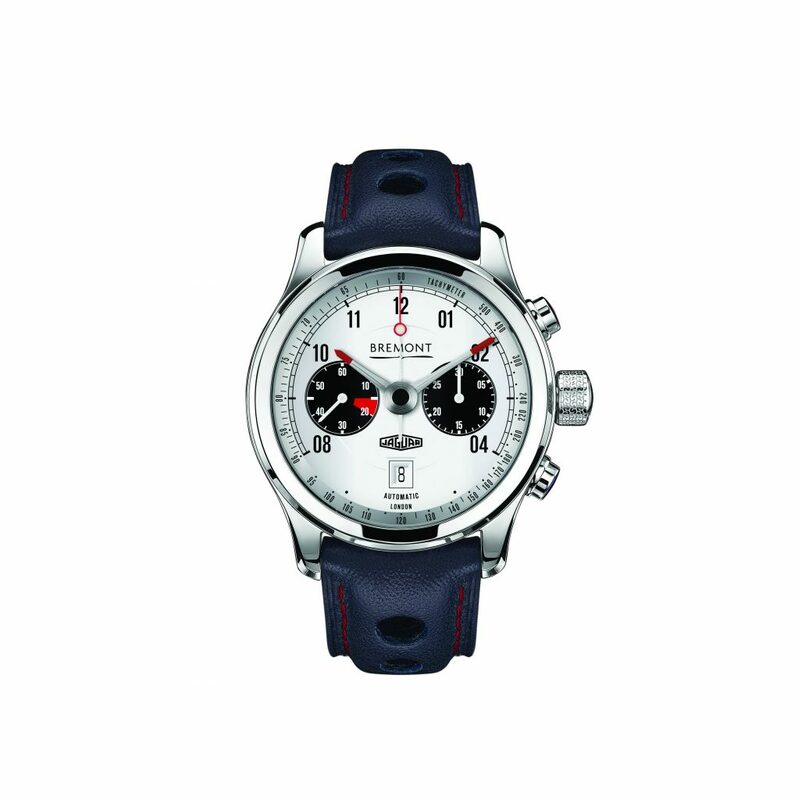 Below, check out the new Jaguar MKII chronograph, introduced last week. 3. Let’s not forget Bremont’s badass ambassadors. 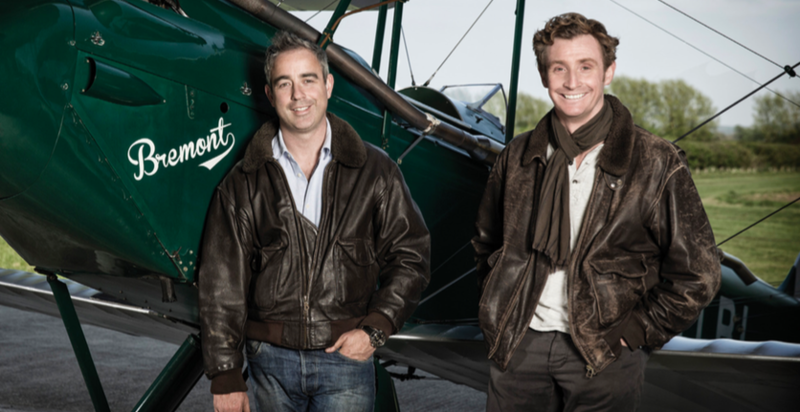 Bremont’s tag line—“Tested by endurance”—is more than marketing fluff. Over the course of our two days with the brand, we heard directly from the adventurers and pioneers who’ve worn the watches in the wild and swear by them. Kenton Cool (yes, that’s really his name! ), a mountain climber and ski guide with 12 ascents of Mount Everest under his belt, regaled us with stories about surviving “the death zone” on the world’s tallest mountain, how Pakistan’s K2 has eluded him, and meeting Yuichiro Miura, the legendary Japanese man who skied Everest in 1970. “One of the reasons I like being associated with Nick and Giles is their technology works,” Cool said. Next up was George Bullard, an impossibly charismatic, fresh-faced adventurer who fielded questions about his most recent journey—a treacherous 1,200-mile crossing from Greenland to Scotland by kayak. The final presentation was from a pioneer of a different sort, Mark Koska, an Englishman who’s dedicated most of the past three decades to stopping the reuse of syringes across the developing world. After showing us some harrowing videos depicting medical personnel reusing HIV-infected syringes on babies, he told us about his invention of the K1 auto-disable syringe. Then it was time to drink. 4. The brand does a huge business in military timepieces. Given all the above, it should come as no surprise that Bremont sells about 30 percent of its timepieces—the brand’s annual production totals nearly 10,000 watches—to military units around the globe. The brand even has Instagram, Twitter, and Facebook pages dedicated to its military efforts. 5. As of this year, they’ve broken the “40 mil” barrier. Both Nick and Giles are lovers of vintage timepieces, so they’ve been quick to recognize the increasing popularity of the vintage look among modern watch buyers. “If you wear a lot of vintage watches, you get used to them being smaller,” Giles said. “We did a survey, and the No. 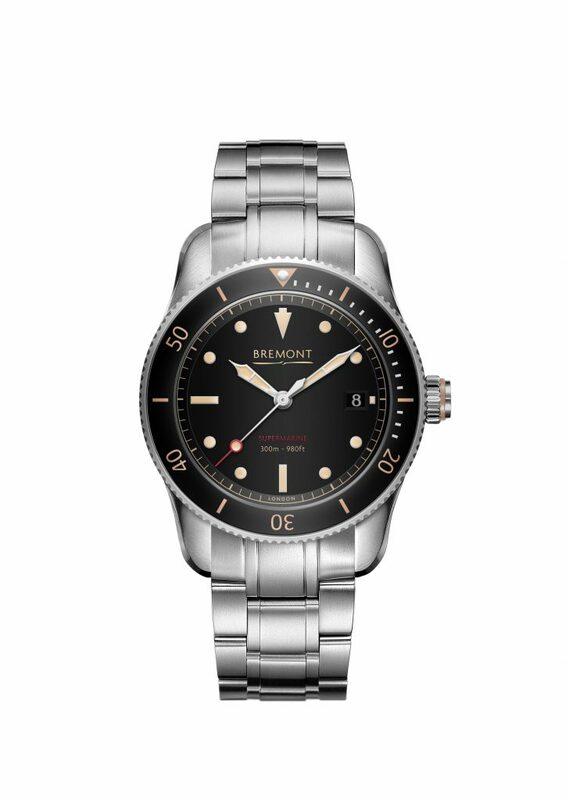 1 request was to have a 40 mm.” So they answered with the new Bremont Supermarine Type 300 range, which has been redesigned in a slimmer 40 mm case.